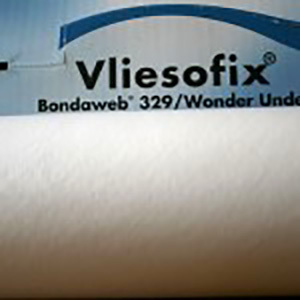 Vilene Bondaweb is a fusible ‘fabric’ with glue on both sides. It is easy to use and comes with instructions. You are buying 1 metre x 45cm wide (approx 1 yard x 18 inch). It will be sent folded. It’s great for applique, hemming, and all sorts of creative stitching, sewing and embroidery. It is also known as Vliesofix and Wunder Under. 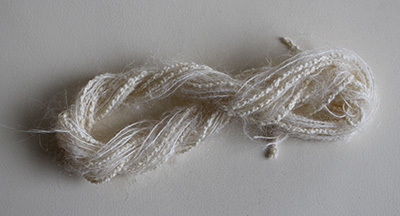 I use it to adhere two pieces of fabric. 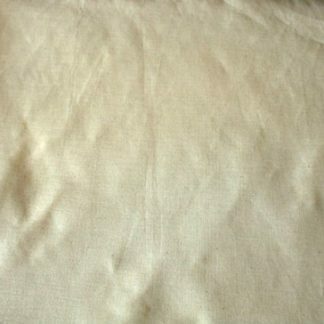 I also paint it and adhere it to my hand dyed fabrics for textile work. 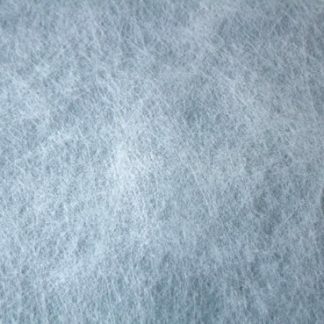 It can be easily painted with acrylics, and can then be stitched by hand or machine. It is one of my favourite supplies. Other sizes available, please ask.